Welcome to the last Connector of 2018, a year not be remembered for its smooth start. In retrospective is has been an eventful and successful year with many highlights, achievements and not to mention CHANGES. We started off the year with 4 new board members; Chenxi Wong, Greg Anderson, Sherif Mansour, and Owen Pendlebury. The OWASP Foundation welcomed a newly hired Executive Director. We said good bye and good luck to Laura Grau and Tiffany Long; left OWASP for a new opportunity. We welcomed back Matt Tesauro and a new staff member Lisa Jones to the team. Let us not forget the dedicated staff of Kelly Santalucia, Dawn Aitken, and Harold Blankenship. At the end of the year, our Executive Director, Karen Staley resigned to return to the entertainment industry from where she originated. We thank Karen for her work and effort, in assisting the OWASP Foundation to continue on the path to becoming a more mature organization. This year's elections, and close of 2018 we have to say, goodbye and thank you to Matt Konda and Andrew van der Stock; two highly contributing and long-time members of the Board and say welcome to Richard Greenberg and Gary Robinson in 2019. Even with all the changes, we can look back on a prosperous 2018 including two successful global AppSec conferences in London and San Jose, and various local and regional events. The chapter review is almost done, revealing we currently have 221 active chapters globally. The OWASP Top 10 2017 has been released early this year, new projects have started and several projects achieved flagship status. We continued to gain the trust of our current and new global sponsors as well as our growing community of 2,400+ individual and close to 60 corporate members worldwide. OWASP has again proven to be an active and healthy open source organization with a loyal and devoted community. 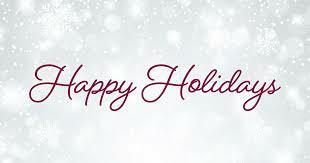 In closing, I would like to wish everyone a Happy Holidays. Let's make 2019 a triumphant, lucrative and eventful year! We will kick it off with OWASP’s first Global AppSec conference to be held in Tel Aviv, May 26 to 30, 2019. New Release: OWASP ModSecurity Core Rule Set Version 3.1. Christian Folini and the OWASP Core Rule Set team is happy to announce the CRS release v3.1.0 at last. AppSec USA 2018 San Jose conference recordings NOW available for viewing! YouTube Playlist for AppSecUSA 2018. Updates for 2019: New video conferencing system for the OWASP Foundation. Look for future notifications on how new users can start to use this service once we've migrated existing users. We hope to have all users migrated prior to the end of February when our agreement with GoToMeeting will end. Another Foundation migration is the retirement of Mailman and the introduction of Discourse. Discourse is an open source Internet forum community management software application. We would like to welcome OWASP's first Elite Corporate Member, Allstate.